Aiming to build a culture of safe riding habits, Honda Motorcycle and Scooter India Pvt. Ltd. conducted the National Road Safety Awareness Campaign for college students in Bangalore. The event was conducted at the Hasnath College in the city. Road safety is a global priority for Honda. To further expand awareness on safe riding practices among youth, Honda has flagged off its new National Road Safety Awareness campaign starting January 2019. Through this initiative, Honda aims to cover more than 15,000 young college students and adults of 10 colleges across cities every month. 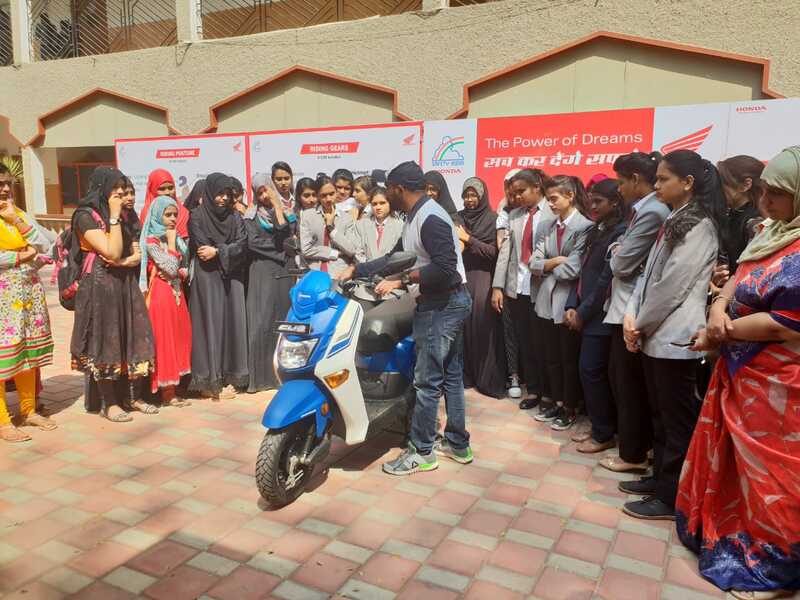 After the start of Honda 2Wheelers India’s road safety campaign earlier this month, this initiative has already expanded to 7 cities including Bangalore and has educated over 11,000 youngsters and adults so far. · To spread road safety awareness, safety riding theory sessions on correct riding posture, traffic signs and road rules were conducted for students. · A special training activity a virtual riding simulator was executed for all to experience over 100 possible dangers on road before actual riding. · Riders tested their riding skills through slow riding activities and riding on narrow planks. · Women were specially targeted for the Female safety riding session. Here, Honda’s female instructors empowered the females on riding a two-wheeler and knowledge of road safety rules. · Above all this, Honda also conducted fun educational activities like road safety games and quizzes on daily basis so that participants have fun learning about safe riding too.